Hogan knows transportation. We've been a dominant force in the industry for nearly 100 years. We are adept at managing the complexities of the industry, providing our clients the best service, equipment, drivers and technology available. Hogan draws from its distinctive, comprehensive service structure to deliver excellence to our clients. We are deeply rooted, highly experienced and financially stable. Hogan's comprehensive truckload transportation services operate coast-to-coast throughout the continental United States and Canada. Our unique combination of single and team drivers, domiciled at our strategic locations nationwide, assures our clients quick response and flexibility - regardless of load or frequency. Hogan Expedited responds to the critical, time-sensitive pace of today’s business world. To help our clients compete, we act with immediate response and the iron-clad assurance of meeting urgent transportation requirements. 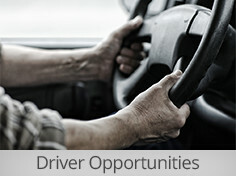 We’ll make your time-sensitive deliveries - GUARANTEED - and provide your company with a critical competitive edge. Hogan’s award-winning safety program has long been recognized for its innovative and results-driven commitment to the safety of its drivers and the motoring public. We are regarded in our industry as one of the safest fleets in the country - operating over 100 million miles annually. Hogan’s safety infrastructure is comprised of policy, training, communications, technology, vendor services, management and staff support, targeted recruiting and retention of qualified drivers operating state-of-the-art equipment with an industry leading maintenance program. Technology integration is critical in managing complex transportation requirements and responding to quickly changing conditions. Hogan utilizes a comprehensive array of advanced technology providing direct, real-time data exchange and reduced administration for our clients. Hogan invests in equipment technologies such as rollover stability and Critical Event Reporting incorporated in our mobile computing platform to help reduce its accident exposure. We continue to evaluate other technologies in lane departure warning systems, collision avoidance, and advanced electronic stability control. Proudly attained the highest rating in the U.S. Environmental Protection Agency's SmartWay(sm) Transport Partnership, an innovative partnership of the U.S. EPA and the transportation industry that reduces greenhouse gases and other air pollutants and improves fuel efficiency. 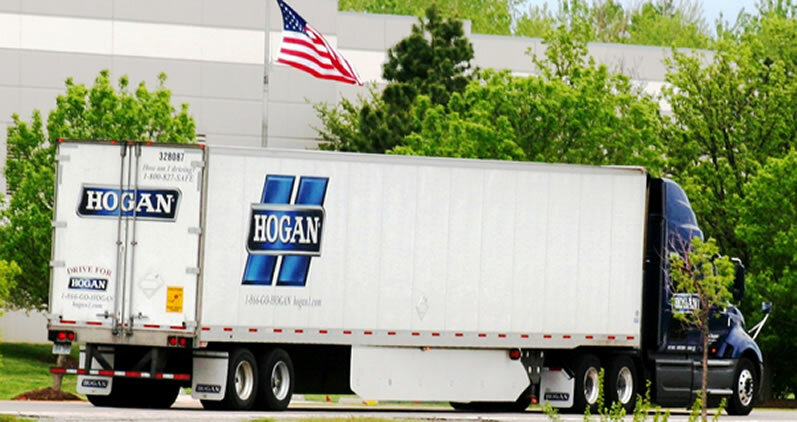 Contact a Hogan TRUCKLOAD TRANSPORTATION representative today.